Special Event, Wedding, Party, Concert Insurance in Chula Vista, National City, Vista & San Diego California - American Tri-Star Insurance Services Inc. If you're planning a special event in California, we have special event insurance to protect against those unexpected incidents. At American Tri-Star Insurance Services Inc., we can tailor a package that will cover your wedding, rock concert or athletic competition. 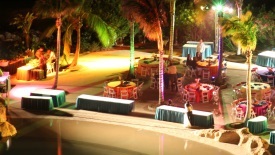 Contact us today at 800-249-7875 for a quote for your special event insurance. We can search our companies for low premiums, extended coverages options and even exhibitor insurance if needed. We can service San Diego, California including the Long Beach , Los Angeles, Riverside, Sacramento, and San Francisco areas.